It&apos;s a packed show this week (our longest ever), and we&apos;re discussing the first ever UFC Women&apos;s fight coming up this weekend. UFC 157: Rousey vs. Carmouche headlines a pretty stacked card that also includes Dan Henderson, Lyoto Machida, Urijah Faber, and Josh Koscheck. Then we recap last weekend&apos;s UFC on Fuel: Barao vs. McDonald, Bellator, Rory MacDonald&apos;s injury, Cyborg Santos in Invicta, the new UFC Rankings, and a ton of surprising fighters cut this week, including Jon Fitch. 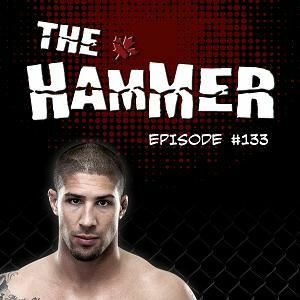 Listen to us Wednesday nights at 7pm on CFMU 93.3 FM, and online at http://www.thehammermma.com, Last Word On Sports, and The Itunes Store, or just email us.